The recent Iran floods are believed to be the results of IRGC’s destruction of countries resources. Following widespread flooding in Iran which has spread to 30 of Iran’s 31 provinces, the Iranian regime is not being forthcoming with the facts. On Monday, March 25, scenes of cars being swept away in the brown waters washing across Shiraz in Fars province were shared across social media. 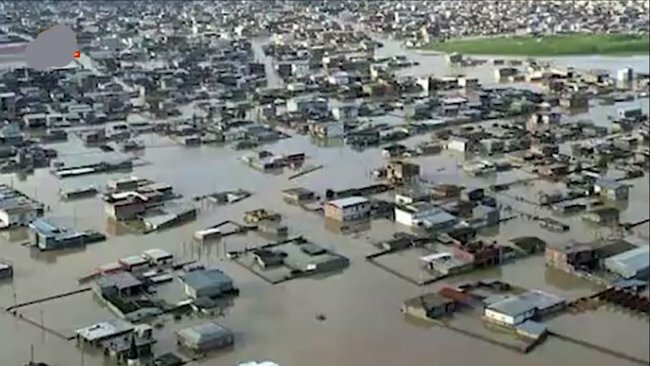 The floods have now claimed the lives of more the 200 Iranians, the People’s Mujahedin Organisation of Iran (MEK) asserts, but these figures are absent from the regime’s narrative. 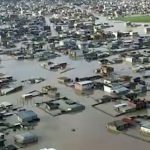 For the leader of Iran opposition, president-elect Maryam Rajavi, this is a calculated effort to mislead the population over the severity of the flooding. The regime fears more public outrage if the true death toll were to be released. However, in withholding information about the full extent of the damage and the severity of the situation, the regime is not allowing the necessary aid and assistance to reach the public. Many Iranians have been left cut off from supply routes and nearby cities with limited food and no access to clean water. They cannot reach hospitals to receive medical attention and the situation is becoming grave. They do not even have a loader. Millions of dollars in the country's money floods. In other countries, for the sake of war and destruction, the poor people should face the flood in front of the flood. Initially, on March 19, the Northern Khorasan Chief of Police admitted that the flooding had claimed the lives of two Iranians. This was then confirmed on March 22 by a state-run news agency. On that same day, a coroner in Mazandaran admitted there had been five further deaths in Mazandaran province, bringing the death toll to seven. Then the regime backpedaled. It stopped releasing information on death figures and even denied the initial figures revealed by the police and coroner. By refusing to acknowledge the deaths and disappearance of many victims, the regime is leaving many to their fate. It is not committing resources to find and rescue those that are unaccounted for. It is not recovering the bodies of victims from the waters. It is being left to victims’ families and communities to organize rescue efforts themselves. The MEK and its supporters are mobilizing to provide assistance to victims where possible.